Polish writer, publicist, academic teacher. She is a graduate of Cultural Studies and the School of Social Sciences in Wrocław. She lectures in the Polish-Japanese Institute of Information Technology at the Department of Japanese Culture. She belongs to a group of people of the young generation who started a feminist debate in Poland. She conducted seminars on that subject at the University of Warsaw from 1996 till 1998. As a part of co-operation with the Institute of Public Affairs, she published two works: Wizerunek kobiety w reklamie telewizyjnej (The Image of the Woman in Television Commercials) (1998) and Wizerunek kobiety w polskiej debacie publicznej (The Image of the Woman in the Polish Public Debate) (1999). Her scientific and journalistic papers in the field of feminist philosophy and “gender studies” were published in Społeczeństwo Otwarte, Edukacja Filozoficzna, Przegląd Filozoficzny, Teksty Drugie, Odra, Czas Kultury, Twórczość, Gazeta Wyborcza, Tygodnik Powszechny and the New York newspaper Nowy Dziennik. She worked at universities in London (1998-1999), New York (1999-2000) and Tokyo (2001-2002). Today her interests are focused on literature rather than philosophy. 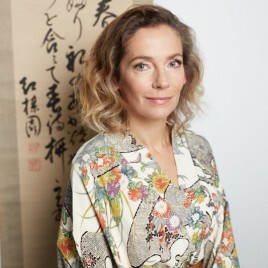 In 2002 her first novel Kobieta (Woman) came out, and two years later it was followed by Japoński wachlarz (Japanese Fan) (notes about her stay in Japan). The most famous book by Bator is the novel Piaskowa Góra (Sand Mountain) – an impressive family epic whose plot is set in People’s Republic of Poland and spans several dozen years in the decorations of her hometown Wałbrzych. The book received the Szczyty Kultury (Culture Summits) Award (2009) and the Award in the Literary Contest of the Polish Book Publishers’ Association (2010); it was also nominated for the Gdynia and Nike Literary Award. This plot is continued in the next novel: Chmurdalia (2010). Bator’s literary output makes no claim to objectivism; nor does it provide a scientific synthesis; it consists of tasty observations written from the perspective of feminine senses; collected into a rich compendium, they acquire the importance of contemporary anthropological discoveries. During the Festival, Joanna Bator took part in a discussion entitled: Historie rodzinne (Family Stories) with the participation of Inga Iwasiów and Bożena Keff. The meeting will be conducted by Anna Marchewka.